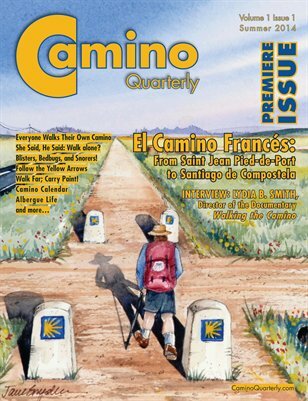 The Camino Quarterly is a print journal dedicated to accurate, up-to-date, usable information about the Camino de Santiago, the evermore-popular 500-mile pilgrimage across Spain. Whether you are thinking of walking the Camino, have already walked it once or many times, or may never walk it but are still interested in learning about it, the Camino Quarterly is for you. We cover preparations for walking The Way (history, climate, gear, and essential Spanish phrases), details about various routes to Santiago, and impressions by those who have walked The Way (including spiritual reflections, photo essays, poetry, humor, and art). Visit CaminoQuarterly.com for additional info.